The Norway Pavilion is part of the World Showcase at Epcot. 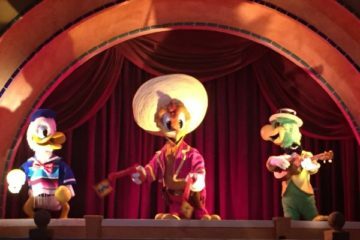 Forming a horseshoe around the World Showcase Lagoon, the Showcase celebrates eleven different countries on four different continents around the globe. Norway, the newest of the World Showcase exhibits, is a quaint Scandinavian village brought to life. It features Scandinavian-style buildings and goods, as well as a float ride with Viking style boats. This Pavilion is also a stop along Agent P’s World Showcase Adventure, an interactive quest to help save the world secret agent style. The Pavilion resembles a Norwegian village, with interconnected shops, a wooden stave church, and a replica of a late medieval stone fortress. The buildings exhibit four different classic styles of Norwegian architecture, and the shops are decorated with wooden statues of trolls. Trolls play a prominent role in Scandinavian mythology – for example, the classic fairy tale of the Three Billy Goats Gruff and the troll beneath the bridge comes from Norway. Norway Pavilion has a u-shaped courtyard at the center, like the center square of a old Norwegian Village. At the entrance to the courtyard is the wooden stave church, featuring multiple tiers much like a Japanese pagoda but much more vertical. Although stave churches or similar designs could once be seen throughout Europe, they are now almost exclusively found in Norway. Inside the church is an exhibit dedicated to the Vikings, including weapons and other artifacts. 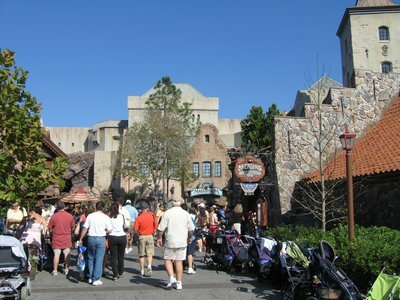 The sides of the Norway courtyard also feature numerous shops, and the entrance to the Maelstrom float ride. At the far end of the square is a replica of an Oslo castle called Akershus that was built in the 14th century. 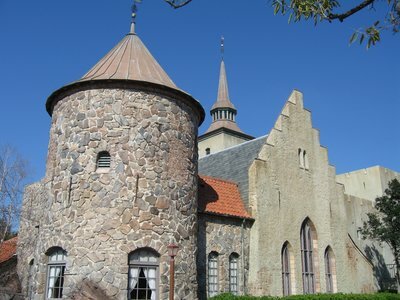 The castle is the location of the Akershus Royal Banquet hall – the primary restaurant at the Pavilion. Maelstrom is the signature attraction at Norway Pavilion. Maelstrom was also a mythical whirlpool said to exist in the Arctic Ocean off the northern shores of Norway. This dark float ride takes guests through scenes throughout Norway’s history and mythology aboard 16-passenger boats that resemble ancient Viking ships. 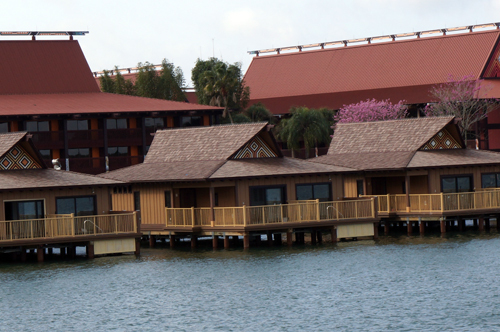 Rustic buildings in the Epcot Norway Pavilion. The first adventure on the trip is a visit to a 10th century Norwegian village and into a misty swamp haunted by trolls. The trolls are not pleased to welcome visitors into their home, and they cast a spell on the Viking boats. The boats begin to travel backwards until they reach a waterfall and the rough waters of the North Sea. From there, the journey takes guests through a grand fjord into the middle of a North Sea storm. The wind and rain rage while an oil rig gets tossed on the waves. After passing through the storm, the ride concludes in another quaint village. From there, guests exit the boats and can exit immediately through a gift shop or watch a short film about Norway. This ride has a FASTPASS available for guests who want to take advantage of that system. 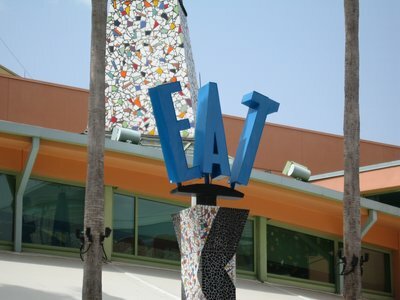 FASTPASS tickets, available with your park entry pass, allow guests to return at certain time and take a shortcut to the front of the line, or very nearly. 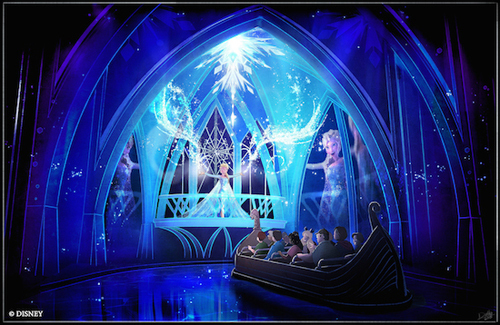 However, the line at Maelstrom is not usually so long that a FASTPASS is necessary, and you may not want to bother obtaining a pass unless you have another reason for returning to Norway Pavilion. Puffin’s Roost – named for the large-beaked bird that frequently roosts in Norway and other parts of the north Atlantic – is the one-stop shop for souvenirs at Norway Pavilion. The quaint wooden store-front opens into a large shop that sells both collectibles and tasty edibles. If you want to learn more about the Norwegian legends of trolls and other fairytale characters, Puffin’s Roost has plenty of books on the subject. It is also a great place to find books about Scandinavian cuisine and Viking culture. 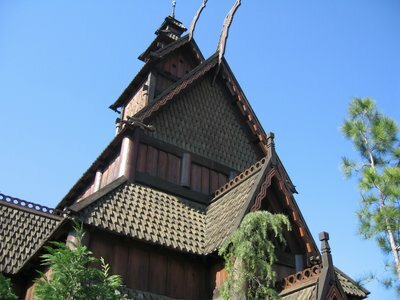 Old Stave Church building in Epcot’s Norway. The shop also carries a unique collection of luxury items, including Norwegian silver jewelry, pewter objects, knives, and a rare selection of Geir perfumes that are very difficult to find elsewhere in the United States. If books failed to satisfy your interest in Scandinavian troll folklore, the shop sells troll icons in many different sizes. They may be ugly, but they are certainly a distinctive souvenir of your time in Norway (Pavilion). Guests can shop for hand-knit woolen items as well as men’s, women’s, and children’s clothing made by Dale of Norway and Helly Hansen. 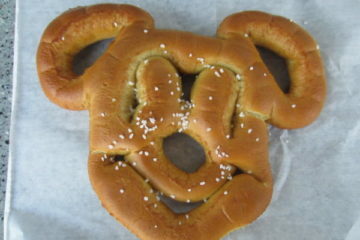 Finally, guests can treat themselves to a variety of…treats! From chocolate to Swedish preserves to other sweet goodies specific to the Scandinavian region, there are tasty desserts at Puffin’s Roost to satisfy every guest. The Akershus Royal Banquet Hall is a grand medieval dining room with enormous peaked archways in stone, leaded glass windows, wall sconces lit with electric candles, and a grand chandelier. The dining hall is all about the unique Disney experience of character dining; in this case, Princess Storybook dining featuring a host of Disney princesses. Crowds enjoy the tree-lined street of Norway buildings. 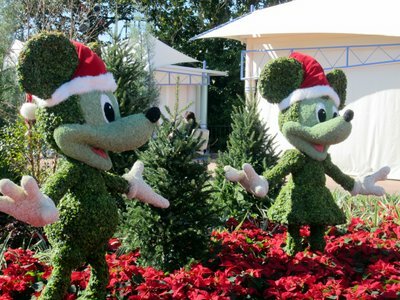 Guests can dine with princesses and their friends for breakfast, lunch, and dinner. Breakfast consists of American style food, while the dishes served during lunch and dinner are inspired by Norwegian cuisine. If you are dining during lunch or dinner, you don’t want to leave without trying the a selection from the dessert sampler, which includes a cake filled with lingonberries – a mountain berry found throughout Scandinavia. Inside the stone archway of the Kringla Bakeri og Kafe, guests can enjoy an informal dining alternative to the grand banquet hall of the castle. You can purchase various pastries and open faced sandwiches, as well as a variety of tasty Scandinavian specialties. Seating is outdoors under the shelter of the stone overhang. Kringles are candied pretzels that first came to Norway in the 13th century in the company of Roman Catholic monks. Another specialty available at Kringla Bakeri is lefses, a treat make from potato bread doused in butter, cinnamon, and sugar. Guests with a taste for java can also order specialty coffee at this café.